Whoohoo! We’re on the halfway mark. Well, as far as the granny’s are concerned. 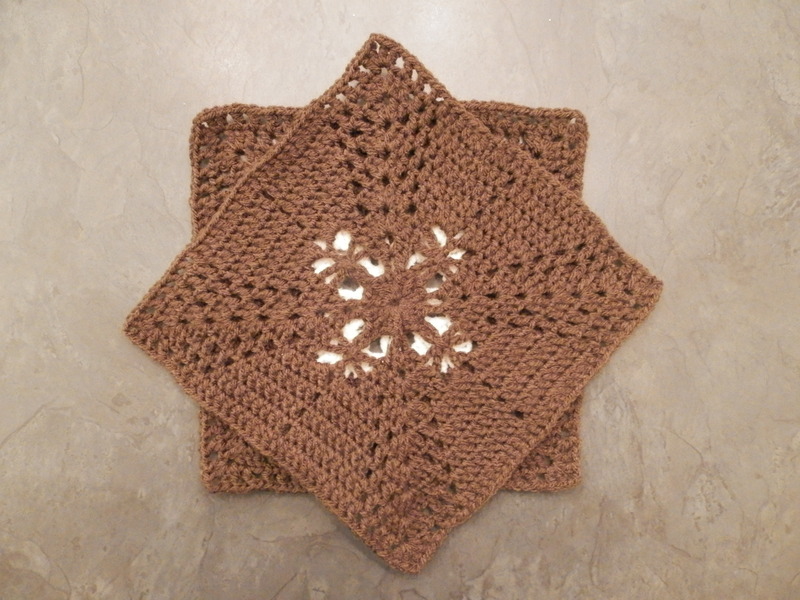 The design of week 5 of the Scheepjes CAL 2014 is a delicate reference to succulent flowers. I think A Creative Being’s design somewhat resembles the flowers of the Saxifraga which is actually not a succulent but a rockfoil. Literally Saxifraga means ‘rock breaker’. Wink has been very clever in designing this week’s granny. 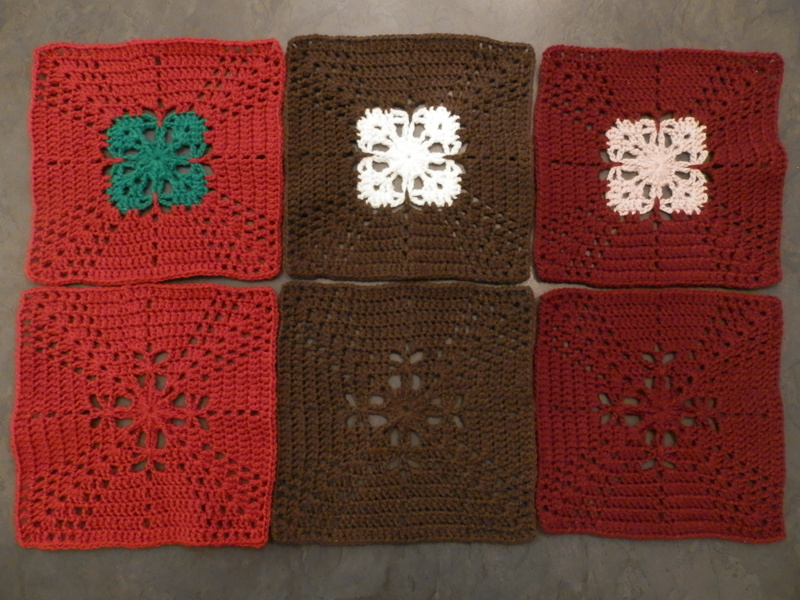 By making the granny in only 1 color you ‘see’ a different flower than if you make the granny in 2 colors. This is a beautiful optical illusion. It’s two granny’s for the price of one! To fully utilize this illusion I have chosen to make 3 granny’s in only 1 color and 3 granny’s in 2. This way ‘both designs’ are accentuated in my final blanket. I had a slight dilemma on Friday morning 10 am local time when the pattern was released. You see, I really wanted to start immediately, but I had a family weekend that I needed to pack and prepare for. I couldn’t help it, while my muffins were in the oven I quickly made my first granny. Luckily this week’s pattern is quick to make and I had four batches of muffins so that gave me more than enough time while they were baking. I also had a second dilemma; do I or don’t I take my crochet stuff with me on the weekend? I think it is not done to crochet in a group of people when everyone is talking and having a good time. I thought, you know what, I’ll just take it with me and we’ll see. Well, no problem! Both my sister-in-law and my mother-in-law had brought their crochet things with them. 😀 The three of us were happily crocheting on the couch. My mother-in-law is well on her way with a cushion based on the CAL 2014 pattern of De creatieve wereld van Terray and my sister-in-law just started a sweet amigurumi bunny. Yet again this week’s result is great! And looking at the overall picture were I am at the moment the result is also great. 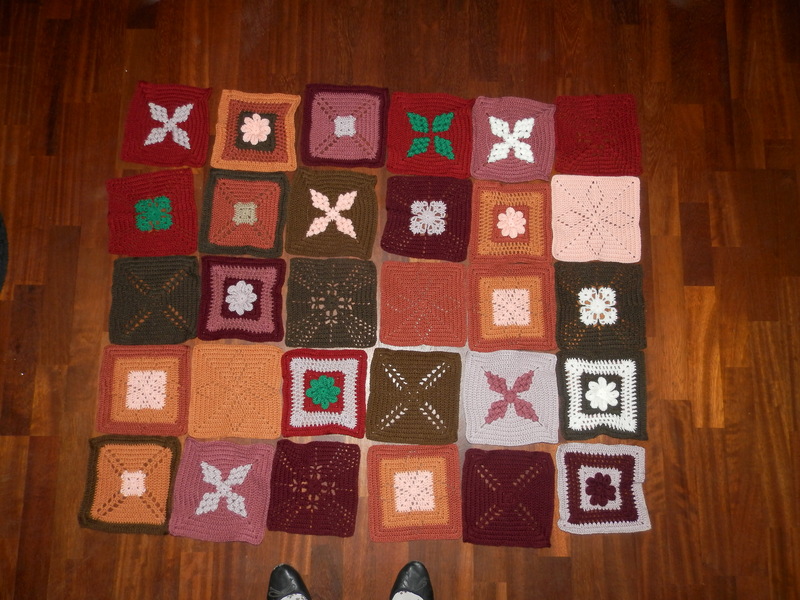 I notice that when we have all the granny’s I will have to think REALLY well about the way in which I organize the granny’s into a blanket. But that is something to worry about later. Please do you have an English version of week 5 as I am really stuck with this block.Having found you on You tube I have found your blog,your videos are the best for me to follow,I am a learner never having done anything like this before but I am also left handed you make things very clear Thankyou.